With Christmas fast approaching, I know many parents are beginning to think about what to buy for their little ones, I know I am. Last year when Jack was almost one and again this year, I am finding it difficult to know what to purchase for him as many toys have an age range of 3+. However there is a new toy brand on the market, Bee Smart. 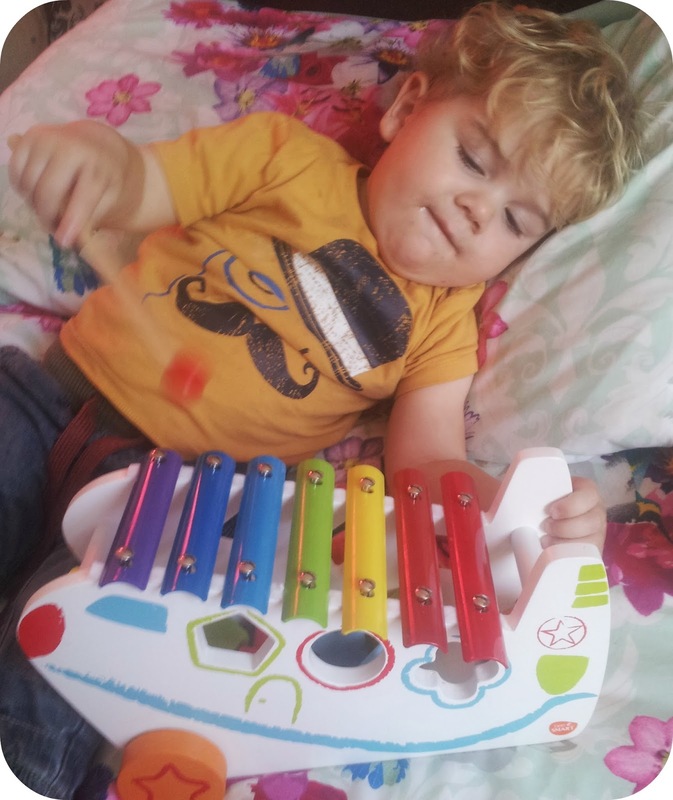 We were sent the Musical Xylophone Activity Toy with Shape Sorter for review. This product is suitable from 12months + and has an RRP of £26.99, which for a wooden toy I think is wonderful. 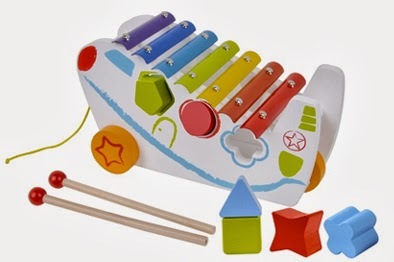 The product itself features a bright and colourful aeroplane shaped xylophone. However, its not only a xylophone, it is also a shape sorter to encourage their learning and a pull along toy for when they are more mobile. With the Shape Sorter aspect, not only do children match the shapes, each shape is a different colour, and the edging of the shape slot is also that colour, therefore encouraging your child to learn colours. However, another thing I love about this is it can all be stored inside the aeroplane when not in use. I'm sure as a parent you will all agree, items to toys quickly can get mislaid. Overall, I would definitely recommend both this toy, and the brand Bee Smart to other pre-school parents. The toys are available from Amazon and also a range of independent stockists or direct from Bee Smart. Please Note: We received this product free of charge for the purpose of this review, however this does not influence any part of this review.